A photograph of Seattle Gilbert & Sullivan Society’s production of “The Mikado”. Yellowface and brownface seems to be all the rage these days. The Asian American blogosphere has been leading a vocal online conversation over the inappropriateness of yellowface in stage productions of “The Mikado”, prompted by this July 14th op-ed by Sharon Pian Chan; you can check out the wonderful guest-post by Sean Miura that was published on this site last month in protest of Seattle’s latest yellowface “Mikado” production. Meanwhile, HBO is touting its newest cross-over show “Jonah From Tonga”, which premiered last week, and which features Australian comedian Chris Lilley in anti-Pacific Islander brownface; you should read my post on the offensiveness of Lilley’s show and his routine use of yellowface and brownface and then sign this Change.org petition. In both cases, we’ve seen abjectly racist use of racial drag defended as artistic license, when the rhetoric in defense of yellowface can be understood at all (which isn’t always the case). Apparently, a conversation on race in the arts is overdue, at least for those who forget the first rule of yellowface and brownface. I still assert that yellowface and brownface is one of those “obviously racist” aggressions that really doesn’t warrant additional exposition; but, hey, everyone can benefit from a little dialogue, right? 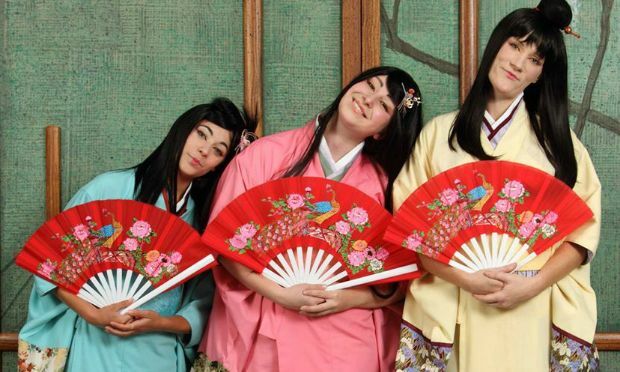 To that end, the Seattle Repertory Theatre (which, I must remind, is not the Seattle Gilbert & Sullivan Society, and is not responsible for this year’s yellowface production of “Mikado”) is hosting a townhall on race and diversity in the arts on Monday, August 18th 6:30pm – 8:30pm. Art plays a vital role in our society and can be a catalyst for dialogue and change. As the demographics of our country become more diverse, how do artists and arts groups approach new and historical work in a way that is meaningful, relevant and equitable? In response to the spirited conversation happening in Seattle and the wider arts community, this moderated forum will address issues of art, race, and cultural representation. Join us in the conversation. Further information, including moderators and panelists, will be shared at a later date. We invite attendees to RSVP here. Follow #seattleAFAR on Facebook or Twitter to take part in the conversation before, during and after the event. Living outside of Seattle or can’t make this date? This event will be livestreamed on www.howlround.tv. By attending this event, you are giving the event’s organizers permission to broadcast your likeness on the internet. Just to emphasize, if you are not in the Seattle area, you can attend this townhall by streaming it live at Howlround.TV starting at 6:30pm PST (9:30pm EST) and joining the discussion on Twitter at #SeattleAFAR. We have seen a truly breathtakingly bone-headed defense of racial costuming and colourface in the aftermath of the “Mikado” controversy, framed in the context of routine yellowface and brownface both by Seattle Gilbert & Sullivan Society and by HBO’s Chris Lilley. In the last year, we’ve seen Katy Perry don racial drag at an awards ceremony, cast members of the show “How I Met Your Mother” play Fu Manchu stereotypes, Air France employ yellowface in their advertisements, and a proliferation of yellowface and blackface themed costume parties on college campuses. We need to draw our line in the sand here. I strongly urge every Asian American and Pacific Islander to attend this event either in-person or online. Let’s make a show of force on this topic, and demonstrate that yellowface and brownface is never appropriate. Please be at the Seattle Rep on August 18th, 9:30pm EST / 6:30pm PST (RSVP here) or join me online at #SeattleAFAR.